Today on Nashville NBC I will be sharing some hot toys for kids from the 2018 Toy Fair. It is the largest toy trade show in the western hemisphere so it is a very big deal and it happens every year in New York City. 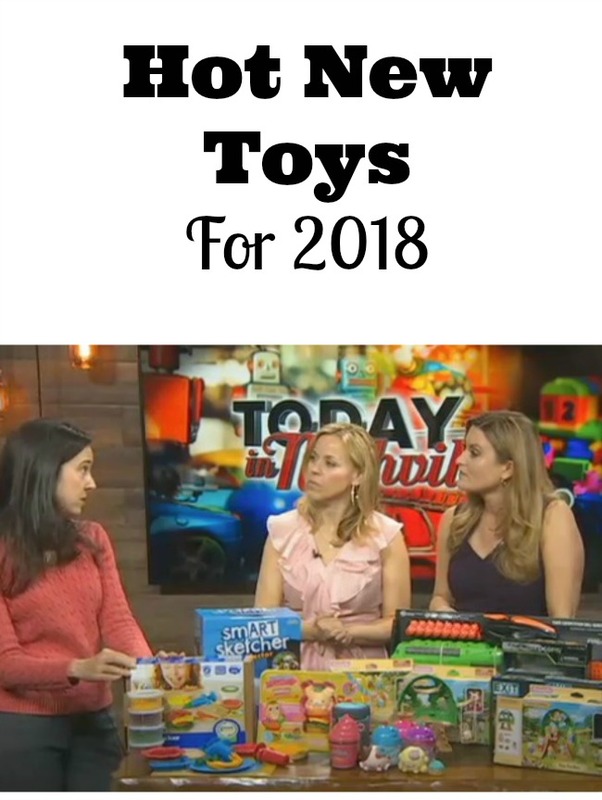 It showcases hundreds of thousands of toy and youth entertainment products to retail outlets from more than 100 countries so here is your chance to get a sneak peak at a few of the new products and toy trends for 2018. The Green Toys™ Dough Sets are the safe and simple way for kids as little as two to enjoy the creative benefits of dough play. Press, smoosh, squish, roll, squeeze and shape with peace of mind. Each set contains several tubs non-toxic dough, made in the USA from simple ingredients like organic flour. 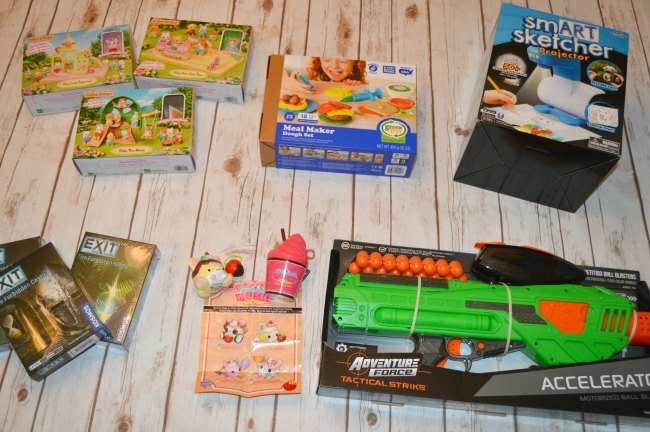 They have bundled the dough with simple, quality tools and fun accessories, also made in the USA from 100% recycled plastic, designed to encourage open play and easily age-up with your kids for role play fun the whole family can enjoy. smART sketcher allows children and adults to transform photos taken from their smart devices into a sketch. users are able to draw almost anything the eye can see. The smART sketcher also comes with pre-loaded micro SD cards that are filled with a variety of activities including step-by-step drawings, learn-to-write letters and numbers, early spelling skills, and more. Additional SD cards can be purchased separately to keep the creative learning going. These are hot toys for boys and girls for super-charged outdoor play. To maximize the energy in their outdoor play, kids can break into teams and sport this adjustable breathable mask. Comes in three interchangeable colors for team play: red, blue, or green. For squishy, slow rising fun, chill out with the new Smooshy Mushy Yolo Froyo pets! Place the pet in the freezer to chill for 2 minutes and experience a color change. Remove and watch as the pet reverts back to its original color with the heat of your touch. 4 different characters to collect. Building on the award-winning series of escape room games, Thames & Kosmos has a full lineup of new additions to EXIT: The Game that you can play from your living room. These are hot toys for kids that adults will enjoy too! With 3 new titles, including Polar Station, Forgotten Island and Forbidden Castle, you can play by yourself or with friends and family to solve the challenging series of puzzles and clues to EXIT and win the game! Each EXIT game has its own unique storyline and different challenges to escape. Can YOU exit the game?! Brand new Baby Nursery Sets give the Baby Critters special places of their own to have fun! The new nursery line is packed with play for the little ones. Availably in three sets: Baby Tree House, Baby Castle Playground and Baby Choo-Choo Train. Each nursery set comes with environment and Baby Critter. Which of these are your favorite hot toys for kids? Don’t forget that no matter how many cool toys kids have, a good old fashioned playground is always great fun!